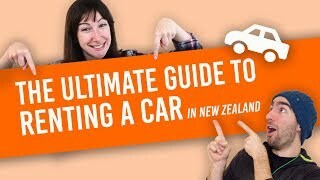 Why renting a car in New Zealand is freaking awesome! Every trip in New Zealand starts with a carnelian choice: What method of transportation should I use?! 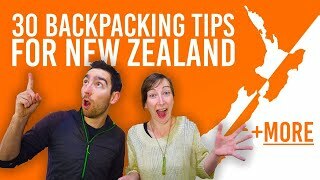 As the ultimate backpacking country, New Zealand has a huge amount of transportation options for those looking to roam its roads. 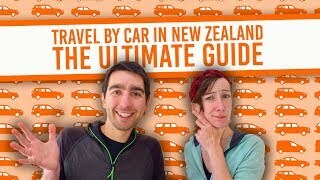 Bus, train, hop-on hop-off, plane, car/campervans… Renting a car in New Zealand is a strong contender for best transportation method in New Zealand and for good reasons. To help you choose what is best suitable way of getting around for you trip of a lifetime, we have listed what we love the most about renting a car or campervan in New Zealand. 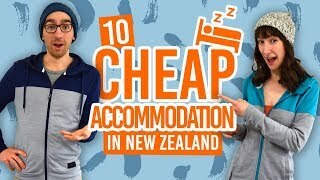 For more information about renting a car in New Zealand, check out How to Compare Car and Campervan Rental Companies in New Zealand and 20 Ways To Save Money on Car Rental in New Zealand. 1. Freedom, we say freedoooooooooom! When compared to other transport methods like train, bus or planes, cars and campervans are synonym with freedom. Drive where you want when you want and stop whenever you feel like it. If getting a self-contained campervan you can even stop and sleep in freedom campsites all over the country and wake up in the middle of the New Zealand wilderness. One of the main advantages of renting a car in New Zealand versus buying one is the huge cost saving on maintenance. No need to worry about any mechanical failure or repairs, it has all been done prior to your trip by the car rental company. On the same note, you can also forget about all the formalities like getting a WOF for your car. Just pick up the car and drive away. Renting a car in New Zealand will usually give you access to much newer vehicle model than when purchasing one. Most backpackers travel in 20-30-year-old cars while car rental companies rarely have vehicles that are 10 years or older. This greatly improves your experience on the road as newer models have more safety features and are easier to drive. In the same spirit than #2, you are likely to get behind the wheel of a fairly new car or campervan when renting. This is more likely to come with big fuel savings as the gas consumption of newer models is much lower than older models. With fuel prices close or above NZ$2/l in many places around New Zealand, you’ll be thankful for as low of a fuel consumption vehicle as you can get! If you choose car rental as your main transportation method, consider renting a car or campervan only for when you decide to travel. With your working holiday visa, let’s say that you are planning to work for about six months and travel for about six months. Nothing stops you from renting a car or campervan three times during your trip from three different locations. You rental does not have to be a straight up six months; it can be as short as a few days at a time. Car and campervan companies offer great insurance packages, covering almost everything that can happen to your car. So instead of having to deal with the cost of mechanical failures and the lengthy delays that go with it, with car rental you’ll get back on the road on the same day in most cases. The car and campervan rental business in New Zealand is very competitive and brands have many ways to lure travellers in. Especially during the off and shoulder seasons (between March and October) you will see a lot of deals and promotions coming up, such as free ski pass, free activities, free upgrades, free rental days, etc. We all love freebies, right?! With a huge amount of car and campervan rental companies in New Zealand, each coming with multiple different models and choices, you are bound to find the perfect ride for your trip. 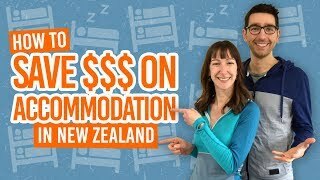 Should you want a small car with a bed on the back or a big RV that can sleep six, there is an offer for you in New Zealand. (Be sure to book in early though, if you do have specific requirements). The car purchase process can be very lengthy if done well. We have many guides going over all the steps. Selling your car at the end of your trip can also take a few weeks. It is not uncommon for the whole buy/selling process to set back travellers over one month. So for most people that are looking to make the most of their once-in-a-lifetime trip to New Zealand, car rental is a very convenient way to maximise their time. Unlike in most countries where it is nearly impossible for drivers under 25 years old to rent a car, most companies have options for drivers as young as 18 years old. It sometimes comes with car model restrictions where you will only be able to rent the three smallest vehicles or with a mandatory insurance, but the options are here and clearly explained. Find out more about Age Restrictions When Renting a Vehicle in New Zealand. Let’s be honest, when buying a second-hand car, there’s always that funky smell from the previous owners. Most people’s own cars are pretty disgusting. On the other hand, when renting a car or campervan in New Zealand, you’ll get a freshly cleaned car waiting for you. Enjoy that new car smell while driving away to your next adventure!